Saint-Hilaire-le-Grand is a small village in the Marne department in north-eastern France. 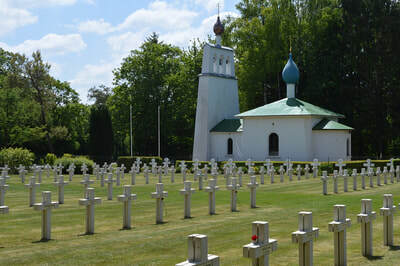 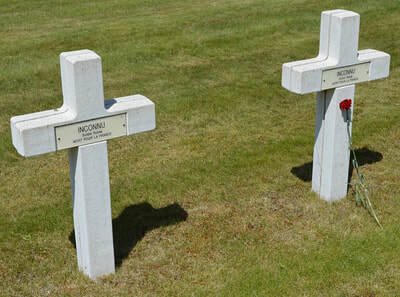 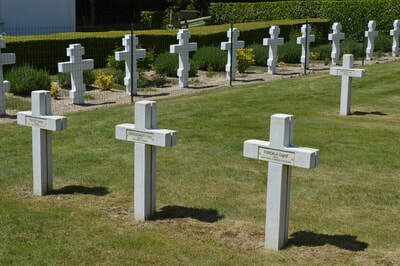 The Franc-Russian Military cemetery is located between St. Hilaire-le-Grand and Mourmelon-le-Grand on the D21. The cemetery is located in an area known as "L'Espérance", near the French military camp at Mourmelon, and was erected in memory of 4,000 Russian Expeditionary Force (REF) soldiers killed on the battlefields of Champagne fighting alongside the French and British armies. 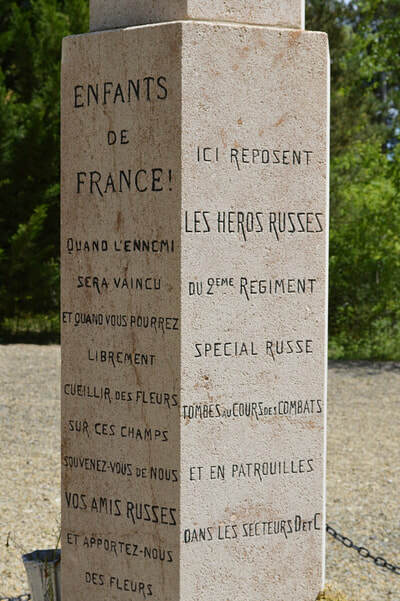 Their brigades occupied the Fort de la Pompelle near Reims and sustained heavy losses in the Nivelle offensive. 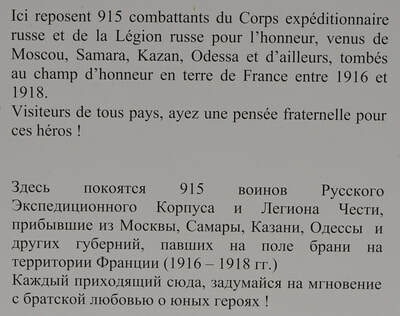 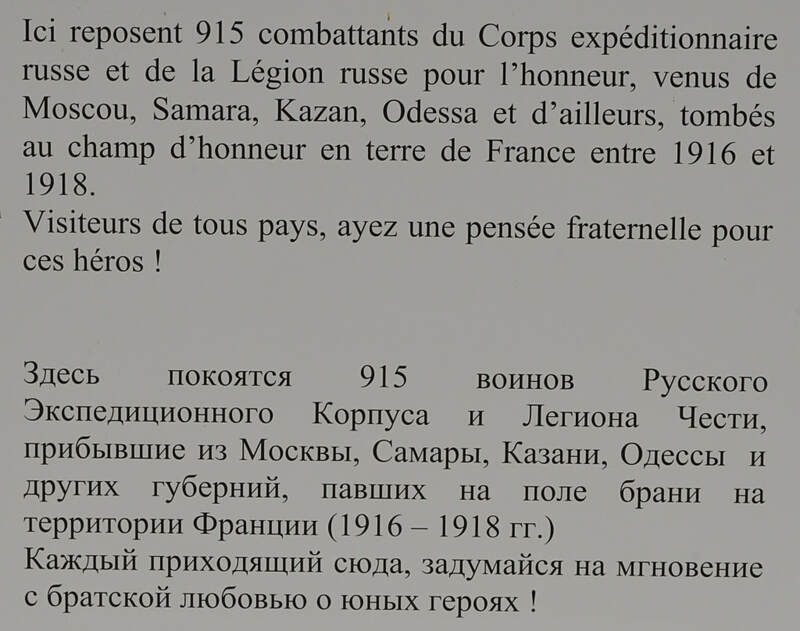 Disbanded when the Russian Revolution broke out in October 1917, the officers, with some volunteers from the ranks, formed a "Légion russe d'honneur" and continued to fight until the end of the war, wearing French uniforms and being absorbed into the Moroccan Regiment. 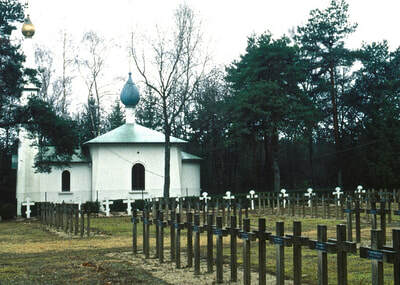 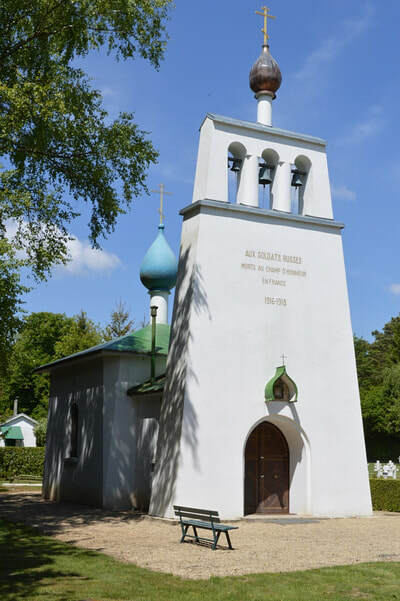 In honour of their fallen, the survivors opened this Russian cemetery and later added a chapel, built in the Russian Orthodox style.